First up among other things, it is critical to put in mind what is an introduction letter and what it is not. An introduction letter is, as obvious as it is, a letter for you to introduce yourself to someone you already know or to someone you haven’t met. In the second case, you are introducing yourself, asking him for job referrals, for example. You may also see Letter Samples. An introduction letter is different from an application letter or cover letter. These two are already a bit the second step in finding a job, whereas a letter of introduction is similar to a child’s first step. 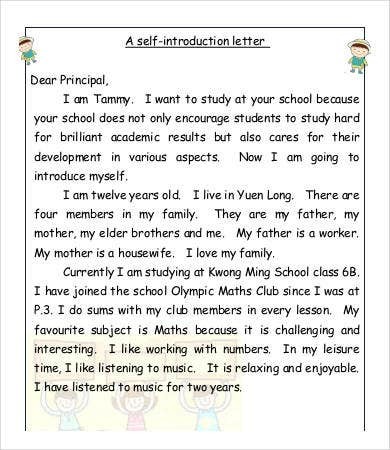 Therefore, an introduction letter is very basic. It should be written in a most concise manner with straightforward facts and the clearest objective in mind. Though it may sound too demanding to write it, introduction letter is not as difficult as the specifics ask it to be. Want to know why? Simply look at our templates for the answer. 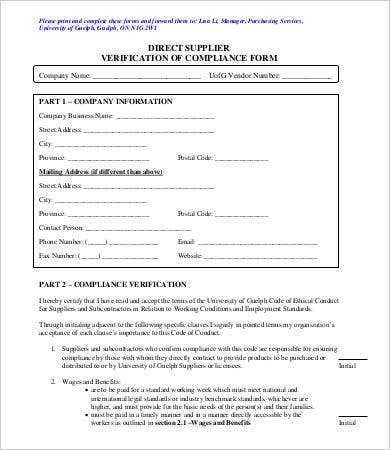 Scroll down below, scan through the various types of introduction letters, and, through our letter templates as well, we can help you personalize your own accordingly. There are a vast array of introduction letters we offer in this article. Choose the one what your purpose is the most, download from our archive, modify any sections which you feel are lacking, and use them to suit a personal or business need. 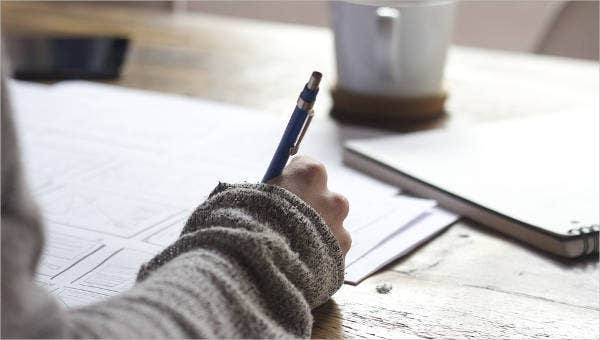 In this article, we introduce (pun intended) three types of introduction letters: business, financial adviser, sponsorship, and product introduction letters. 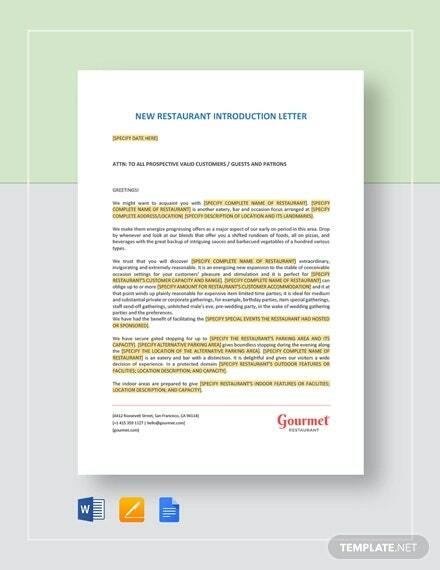 In our new business introduction letter templates, it states plainly all about the new business. Simple. Just be clear-minded and choose simple words that are understandable. In this way, you avoid the impression of being fancy, which is a no-no in money matters. 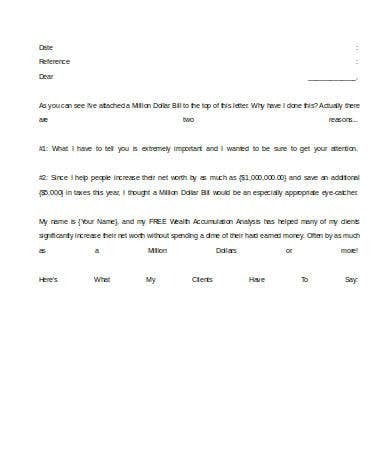 The financial adviser introduction letter use the numbered items format to make the point of clarifying the objective. Once you have asked the right questions to your recipient, now simply introduce yourself. 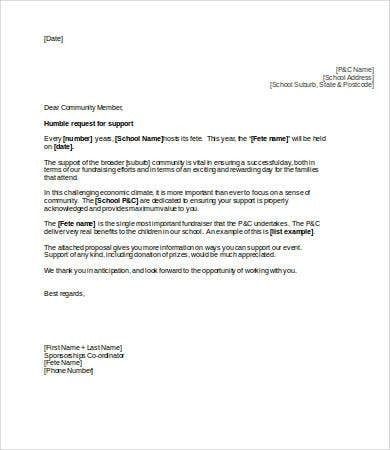 Note: avoid writing a letter with lots of spaces between words. It may give a hint of you being careless. For you who are planning to have a sponsor or benefactor to support your endeavor, the sponsorship introduction letter template is good to go. 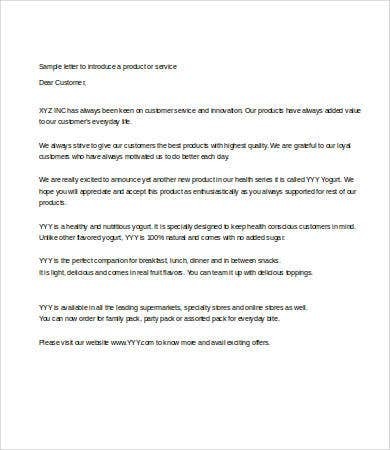 While the product introduction letter template is the lengthier one as befits its nature. You are introducing something new, and in doing so, you are making the art of persuasion in action inside that letter. 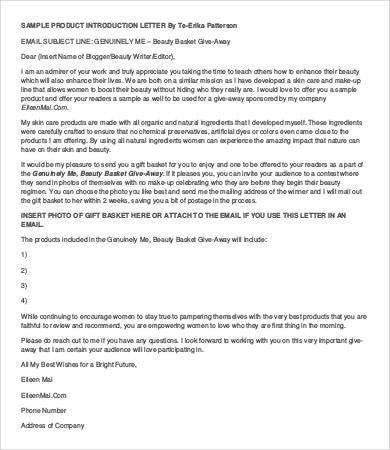 Read on the sample so you can have a bigger picture. Our letter of introduction examples and personal letter templates offer you ways to go over matters of substance. Above, you can further see some letter of introduction templates. 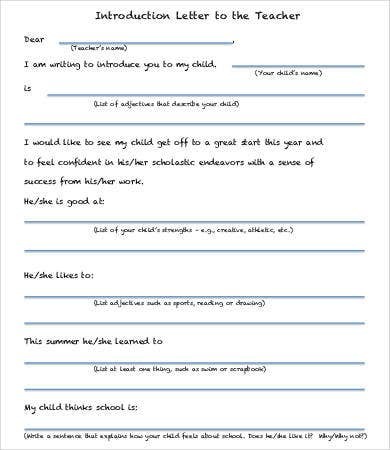 For students, we have here the self-introduction and teacher introduction letter templates. These can be useful to students in elementary or high school levels. As you may notice, the formats are varying due to the nature and purpose of business dealings. But still, the gist of introducing yourself has to be retained. 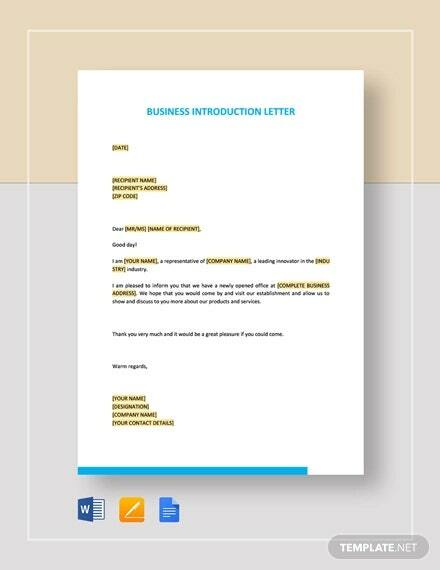 These introduction letter templates are here to make your own unique yet popular way of writing one, the same technique employed in our business letter templates.